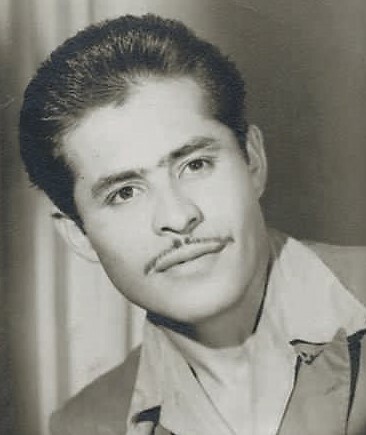 Rafael R. Leyva, 94, passed away on Sunday, October 21, 2018, at Valley Regional Medical Center in Brownsville, TX. He is preceded in death by parents, Pablo, and Maria Cruz Leyva; son, Jose Luz Leyva; daughter, Maria Cruz Leyva; sisters, Maria Luz, and Rosa. 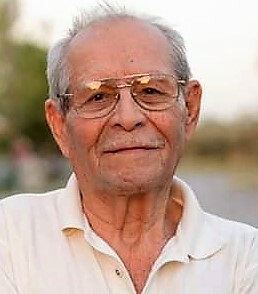 Mr. Leyva is survived by his loving wife, Josefina Leyva; 6 children, Rafael Leyva, Jr., Merced Leyva, Maria Cruz Alvarado, Pablo Leyva, Noelia Alvarado, and Isaias Leyva; siblings, Jovita Frautio, and Soledad Chavez; 12 grandchildren, and 7 great-grandchildren. Visitation will be from 2 pm to 9 pm with an Evening Service at 7 pm on Wednesday, October 24, 2018, at Garza Memorial Funeral Home. Chapel Service will be at 10 am on Thursday, October 25, 2018, at Garza Memorial Funeral Home. Interment will follow at San Pedro Cemetery.